Becoming a Mom can be life changing. And especially when you don't know what to expect and how to manage a baby in your home. SuperMomTested had the opportunity to poll from our wonderful community of moms on our SuperMomTested Facebook (SMT Question of the Day)on this very subject. We were very pleased to see the kind of responses to our question, A huge Thank You to those who did. I took the collection of viable responses and compiled them into a five point outline. Read what other professionals and experienced people have to say. While our biggest focus at Credit Cardr Insider is providing information about the responsible use of credit and credit cards, we're always looking for ways to help people manage their finances in all areas of life, and especially at different major life stages. For this post, we asked for maternity leave advice from experienced moms in the workforce and discovered ten key themes. No one will plan your maternity leave for you. It's up to you to research any benefits and how to get them. Don't be afraid to take full advantage of any maternity leave benefits available to you. If your maternity leave is unpaid, you could be eligible for paid family leave benefits from the state. Call your state's unemployment/disability office for more information. Even if you're afraid your job won't wait for you, train the person who will cover your leave well. If you don't, your reputation will suffer when your coworkers discover that you held on to certain key information. However, if you make smooth operation in your absence a top priority, your employer and coworkers will respect you and become part of your permanent professional network. The value of good relations is immeasurable over the span of your working career. And readying others to take over in your absence opens up the door to promotions and new responsibilities upon your return. "Make sure you work with your boss on a coverage and cross training plan. Unless your boss says they have it taken care of, you need to take responsibility to ensure all bases are covered. How you leave is as important as the work you do while you're there. Realize that everything is about to change – your body, your feelings, your schedule, your budget. Plan as well as you can. Be kind to your body. Producing a little human is no small job. Play with the idea that you might want to take an extended absence from work. Your career will always be there, but your child wants and needs your time and attention now. So think now – before the baby comes – about money. Don't chant the "everything will work out" mantra. To get what you want, a solid financial plan will be a thousand times more effective than a wish and a prayer. 1. "Create a budget. Know what is coming in, what may be going out and what you can set aside for unexpected events. 2. Keep track of spending. 3. Be aware of ways your family can save. Measure the needs over the wants. 4. Practice living on one paycheck. This will lessen the shock of losing the extra income. And if you're self-employed, you'll have to take extra steps to figure out how to take time off from running your business to enjoy being a new mom. "Baby 1 was well planned for. I just didn't know how to leave my own business. Never once was the concept of maternity leave addressed while in school. I did not know how to save enough nor cover my patient load. You'll hear from practically every new parent that once the baby is born, your day will revolve around meeting baby's needs and not much else. You'll be tired, possibly overwhelmed, and very short on time to handle previously mundane tasks like shopping and cooking. The most organized new parents think ahead to prepare meals (or at least key ingredients, like meat) that can later be heated, requiring no preparation whatsoever. Studies show that most new moms don't want to return to full time work after the birth of a baby. Even if you love your job or you don't think you can live without the income, consider the possibility that you'll fall into that category and plan for it as well as you can. Maximize your time off. Once you go back to work, find out if you can work from home or ease back part-time. While you're off, enjoy the time with your new child. Don't expect to be a "natural" or to take it all in stride, no matter how much experience you have with other peoples' children. It's easy to become overwhelmed, and when it's just mom, dad and baby, the answers don't always present themselves clearly. 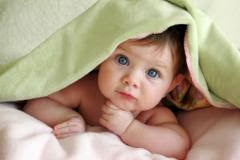 In days gone by, extended families lived together and there were older generations around to teach new moms what to do. These days, you might not have that advantage. So cut yourself some slack for any doubts, lack of confidence or unrealistic expectations you may have. When friends and family offer to help, let them. It may seem like a big imposition to ask your mother-in-law or surfing buddy to do your shopping, but if the offer is made, accept it gratefully. Running errands, cooking meals, cleaning the house, and walking a fussy baby are all great tasks to assign to caring people in your inner circle during the first few weeks of your little one's life. Outside the home, get connected with a lactation support group nearby so that you'll know where to go if any challenges arise. "Have family/friends come help (especially those with kids). We live away from our families so the grandparents and aunts rotated visits. We were SO grateful that the timing worked out that my sister-in-law with four kids was able to be there for a few days at the time I was released from the hospital. 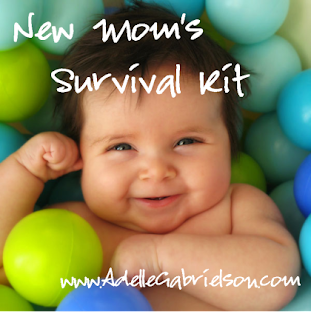 An experienced but young mom who’s happy to jump in and provide guidance is SO amazingly helpful because she knows exactly what the new parents need/fear and can more easily identify issues/assuage concerns. A lot of friends also wanted to visit and meet the new baby, so they signed up to bring us dinners and free up our hands for a little bit. You're in this together. Encourage dad to be an active participant and to bond with baby. Like mom, dad should be unafraid to take the maximum amount of family leave available. Some men feel awkward around the baby, not knowing what to do or how they can help. Comfort will only come with practice. Also, men tend to feel much less free to take extended absences from work, and far more pressure to put the hours in. Each new dad has to set his own priorities, but more and more men are choosing to put family at the top of the list. "When my first son was born, nearly ten years ago, I was lucky to have an employer who provided great maternity coverage. The second time around, I was a self-employed work-from-home mom so I was stressed about the idea of taking paid time off from work. Luckily, my husband took advantage of the Paid Family Leave option we have in California, allowing him to take time off to not only bond with the baby, but to help me and provide me the opportunity to get some work done during that time. And don't underestimate the amount of time you'll want to take off. And lastly, I found a free download for New Moms Here. Thanks for the shout out! Delighted to be included as a resource! Cheers to the working mamas...we need all the help and resources we can get! Thanks for sharing these useful tips! That's a pity I haven't read your post earlier. I often repeat to myself: "Be the parent today that you want your kids to remember tomorrow". I don't know who said this, but now this quote is my aim. Being a parent is a very responsible but at the same time such a rewarding job! Agatha Singer has got a great article about parenting. You may read it here. Hope you'll enjoy it as much as I do.